A new home for a growing lab. Seven years ago, the Computer Systems Lab comprised just four ECE faculty and 20 Ph.D. students. Today, the lab consists of eight ECE faculty, over 35 Ph.D. students, and many more undergraduate and M.Eng students. 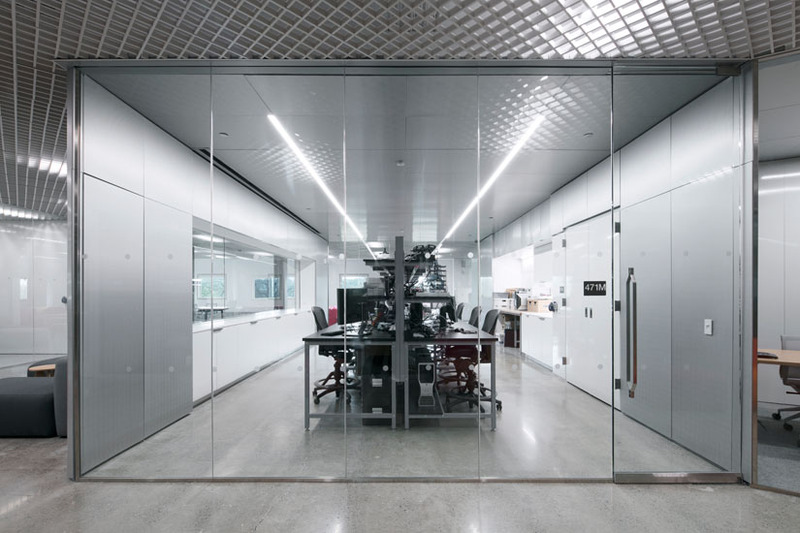 Until recently, the group occupied about 4,500 square feet of lab, office, lounge and meeting space spread across two floors of Upson Hall. Not only was CSL quickly running out of space, it was clear they would have to move because of the renovation of Upson Hall. CSL, ECE and Cornell Engineering set out to plan and build CSL’s new home in Rhodes Hall with Professors Christopher Batten and José Martínez taking the reins of the CSL side of the 18-month project. The new space is certainly exceptional. 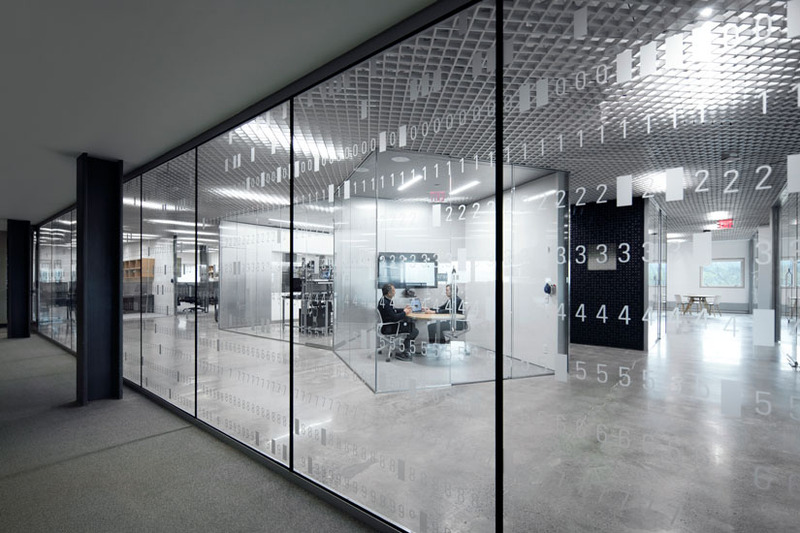 A large plate glass wall facing the outside corridor allows visitors to witness the many happenings inside the lab. 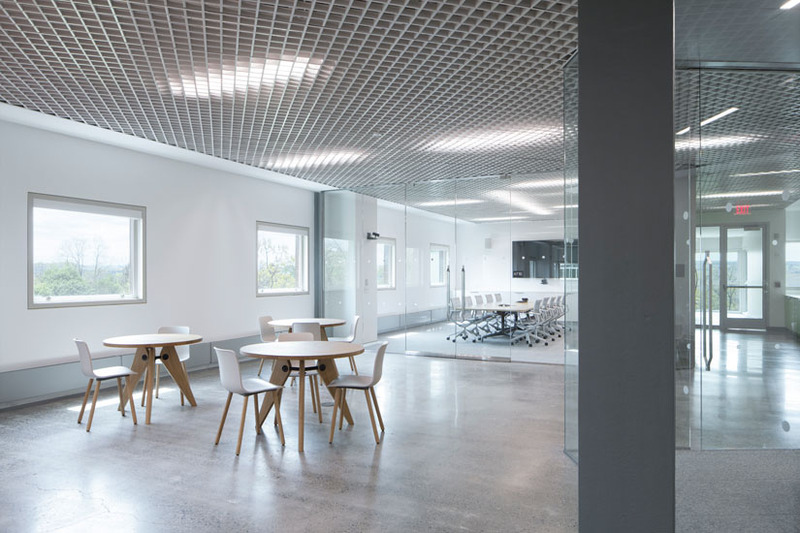 Full panel glass walls of internal offices and conference rooms help create a sense of transparency and openness. 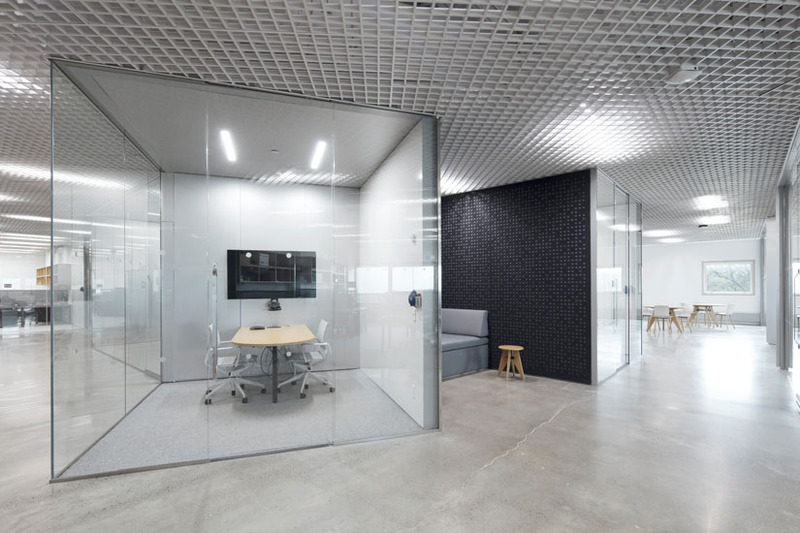 Social spaces are both visible from the outside and tucked away from the entrance, and their layouts are easily reconfigurable for an impromptu presentation or an all-hands meeting. The hardware lab is shared by all members of CSL—students and faculty alike. “None of our research groups really needs its own 700-square-foot digital electronics research lab,” said Batten. “We all do hardware prototyping, but our students aren’t in the hardware lab experimenting with systems every single day. We also spend a lot of time modeling and programming.” By centralizing and sharing a hardware lab, CSL gets many economies of scale. They share expensive equipment, and more importantly, the shared lab gets students talking with one another. A place for all CSL students. 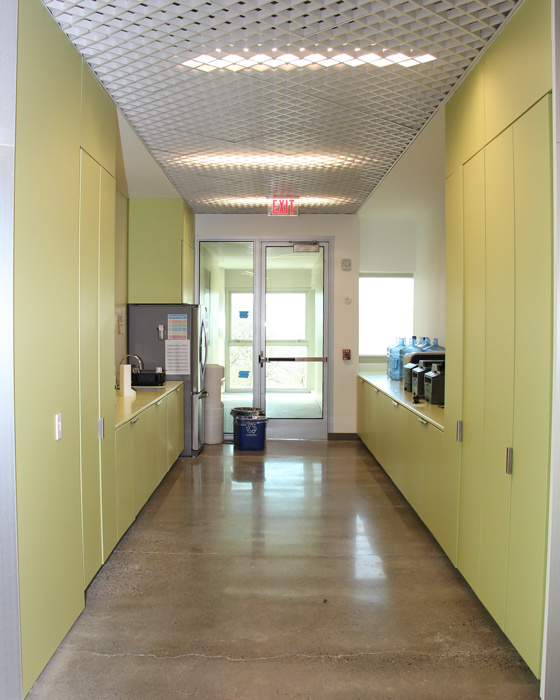 Another goal of the space was to have a single, self-contained place for all CSL students to call home—Ph.D., M.Eng and undergraduates. There are five separate Ph.D. bays, each with room for as many as nine students. 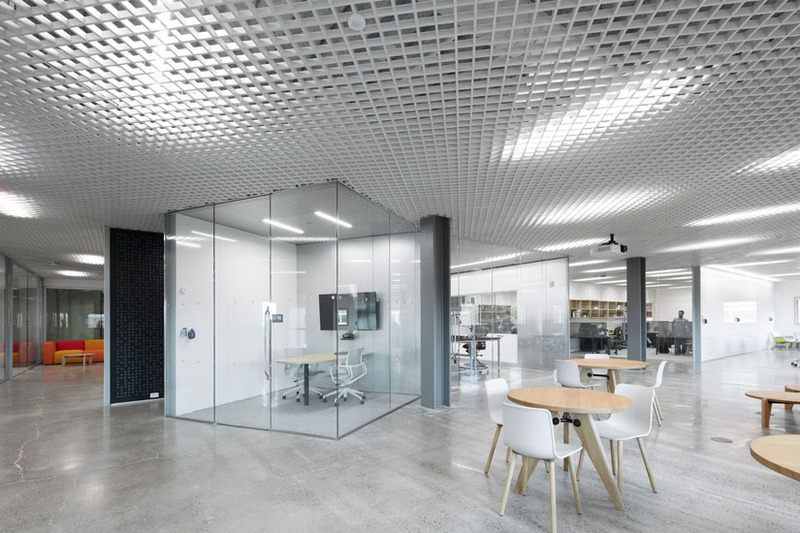 Designed to create a sense of collaboration, these offices have big, open desks and all have windows and a lot of glass that reinforces the sense of transparency. The individual research groups within CSL hold their weekly meetings in a state-of-the-art conference room. Three breakout rooms can be used for smaller meetings. These breakout rooms have floor-to-ceiling whiteboard-covered walls, large flat panel screens and video conferencing capabilities. Group members can leave their office spaces and hack collaboratively using the big screens, meet with faculty or have one-on-one meetings. “Overall, we wanted to create a model where students don’t spend all day at their desks,” said Batten. 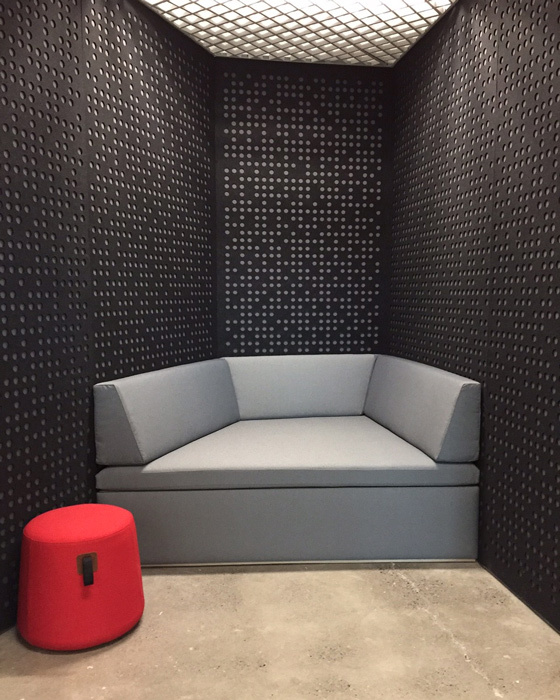 “If you want a change in atmosphere, you can go to one of the breakout rooms or to one of the lounges.” Students can also use one of two “caves,” quiet spaces set in between the breakout rooms where they can sort out their thoughts or read academic papers. The walls are covered with a special material to muffle sound. There is also a dining area and a kitchenette with a coffee/espresso station selected and maintained by the students themselves.